For those of you that are trying to find some new, innovative ways to use your iPhone, iPad, or your new and improved iPod Touch, then you might just be in business. 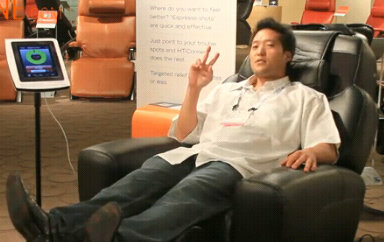 Coming by the end of this month in the United States (October 2010), is the first ever remote controlled massage chair. And when I say “remote controlled” what I mean is controlled from an iPhone, iPad, or iPod Touch. Pretty cool new way to use your fancy new iPad huh? So who’s running out to pick up this high tech massage chair?